Worried about your health ? Want to give up but don’t have the will power ? Tired of being a slave to a un-healthy habit you have to pay hard earned money for ? Had enough of smoke ridden clothes and stale breath ? Worried that you might put on weight if you gave up ? WE CAN HELP YOU GIVE UP THIS NASTY HABIT !!!! Yes, it really is. No magic wand is waved but if giving up is really what you want then hypnosis and NLP may be the answer for that missing extra something that is currently holding you back. 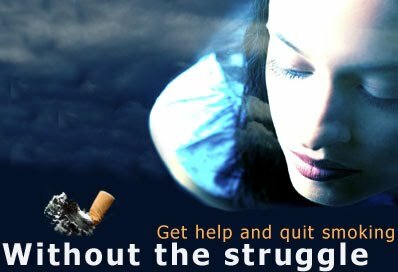 Your strong motivation is very important; this combined with the powerful therapy could really be the end of your smoking nightmare and the start of your healthier way of life. The downside with most other forms of therapy such as patches is that they deal only with the physical side (the addiction to nicotine) and not the habit. Hypnosis and NLP deals directly with this. The habit is the real problem as the withdrawal from nicotine only lasts for a few hours. With the habit deeply embedded in the sub-conscious, under hypnosis positive suggestion will be given to override these patterns so no urge for a cigarette will occur in any situation and that smoking is a thing of the past. ‘Aversive conditioning’ is also used along with the positive suggestions, emphasizing the unpleasant aspects of smoking and installing such thoughts as “every time you even think of a cigarette other distracting thoughts will enter your mind”. This conditioning coupled with the suggestions override the habit. Within just 24 hours of successfully giving up the positive benefits start. Your blood pressure will be near normal, your pulse rate will drop, your hands and feet will be warmer, nerve endings will start to repair and you’ll be at lower risk of heart attack. After a week your senses of taste and smell will dramatically improve, your bronchial tubes will relax making you less short of breath. Three months, your lung capacity would have increased by one third, circulation and stamina greatly improved and an overall feeling of better health evidently there.